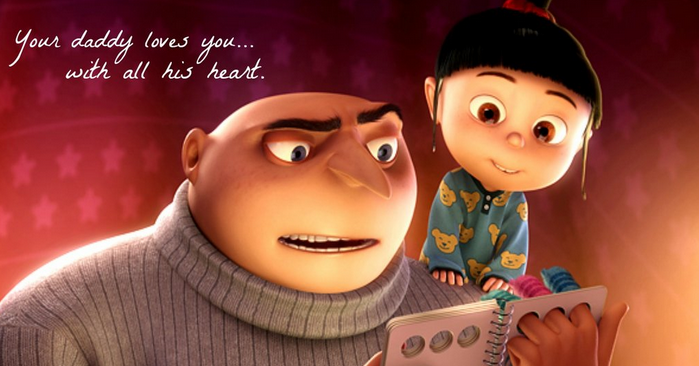 Here are 14 super adorable Despicable me 2 wallpapers or posters. Who doesn’t like them? I am not a huge animation fan but even I liked these little buggers that are just so funny to watch. These wallpapers or posters are created by the talented artists at DeviantArt. A big thank you to them for giving us such great despicable me 2 wallpapers or posters that are free and can be used by anyone. If you liked despicable me 2 and love to see how they will look if drawn by different artists, here is your chance. Check out these cute despicable me 2 wallpapers or posters below. This poster features despicable me 2 characters singing the famous trailer song. If you have not heard it go, what are you waiting for? It is seriously funny! How do you like Despicable me 2 character dressed up as Terminator? This cool poster does actually that. Looks really awesome! This is such a nice digital art painting of the Despicable me 2 minions. It is so awesome that I can imagine printing it out and hanging on my wall. This is a fan art using a game character called Lulu and Despicable Me Minions. The art itself is pretty nice, using a fairy tale theme that you don’t see often. Have you played the Assassin Creed game before? If you have, you will notice how familiar the minions are to this game character. That was the inspiration for this photoshop creation. Looks absolutely gorgeous as a wallpaper. What do you get when you combine walking dead with Despicable 2? You get walking dead minions LOL. A lovely drawing done by a talented artist. Minions as Doctor Who characters! Looks great and love to see the minions in different outfits. Nice sharp photoshop render of the Minion. Looks great as a wallpaper. I love this concept for a Despicable Me 2 wallpaper. The design is unique and it makes full use of the minions. Cool! Despicable Me 2 is not all about the Minions. The father is incredibly charming as well, especially when he is with his girls. Another nice fan art of the Despicable me 2 minions. I guess these guys must be really popular. This is a really cool animated gif of the new character Lucy, who is the love interest of our main character. Hope you liked these cute Despicable Me 2 art, wallpapers and posters. Have a great weekend!